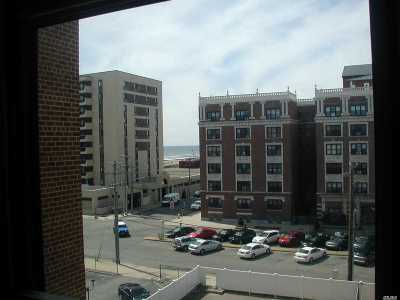 Are you looking for an oceanview apartment with a parking spot? This is it!! This lovely 5th floor, western exposure apt. comes with a covered parking spot (#61). There is an updated kitchen with granite counter tops & stainless steel appliances. The bath is also updated. All new windows, wood floors & plenty of closets. The building has a gym, heated salt water pool, party room, 3 bike rms, and a laundry room on every floor. No renting or subletting allowed. No pets please.